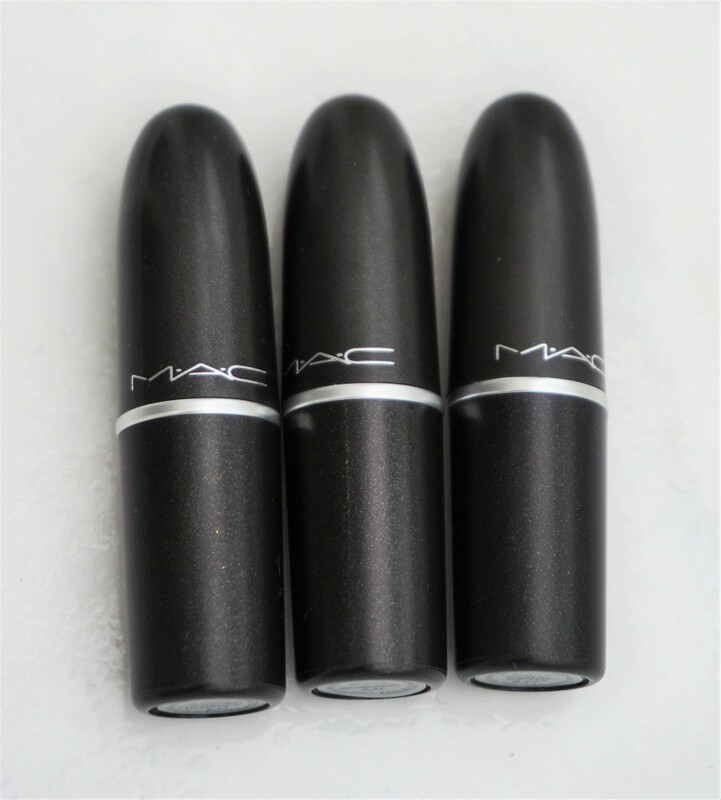 The MAC Metallic finish lipsticks come in MAC’s classic black bullet style packaging. MAC’s lipstick packaging is quite streamlined, lightweight and easy to handle. The lids clip on and make a satisfying ‘click’ when you put them back on to the lipstick tube. The lipstick tubes are designed in the traditional ‘swivel up to apply’ and ‘swivel down to close’ manner. The shade name and the finish of each lipstick is printed on a small, round label on the base of the tube. The MAC Metallic finish lipsticks have the classic vanilla fragrance which is typical of MAC lipsticks. I quite like the scent; it is relatively subtle and not overpowering or cloying. The metallic lipsticks that I purchased glide really beautifully, evenly and easily on to the lips. You can swipe on one coat for a quick metallic hit or apply two coats for extra impact. The texture feels pretty smooth and moisturising on the lips, which is nice to see in a lipstick with a metallic finish. There is a very, very small bit of grittiness – which I imagine is due to the sparkle in the formulation – but it doesn’t feel uncomfortable to me at all. ‘Forbidden Romance’ is a medium, warm brownish-copper rose shade with a soft metallic sheen. I think this shade looks so pretty on the lips; it gives quite a subtle, warm hint of colour and nod to the metallic trend without being too ‘out there’. I find this shade to be very versatile, in that I can wear it with natural, classic eyeshadow combinations or more colourful looks. Forbidden Romance is the most wearable and most subtle in terms of the metallic finish. 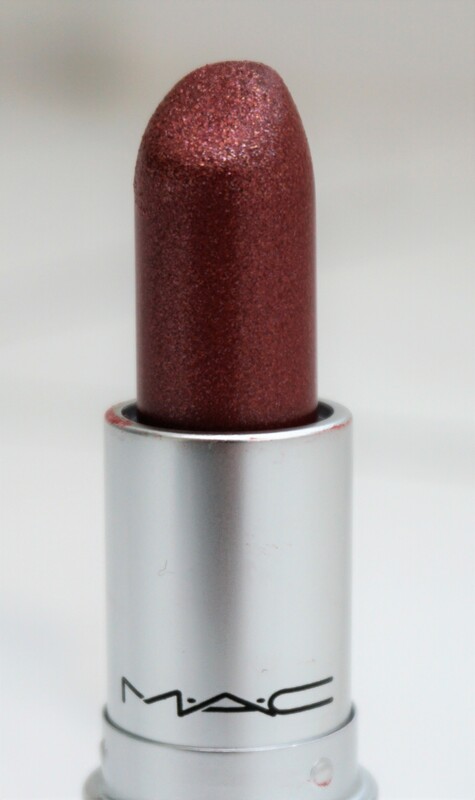 I think it is a particularly good shade for if you want to try out a metallic finish lipstick but don’t want something which is too out there or strong in frostiness or sheen. Coral Optix is the brightest (see below), whilst Disobedient is much more sultry and deep in tone (see below). ‘Disobedient’ is a deep, metallic plum-wine with fine pink sparkles and a strong metallic finish. This shade is the deepest that I picked up and one for when I want a darker lip with a ‘little extra something’. 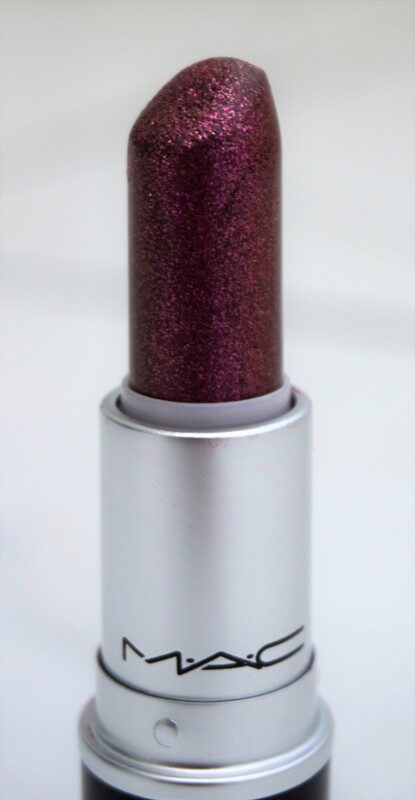 The metallic nature and the fine pink sparkles make this shade look so pretty and a little different on the lips. 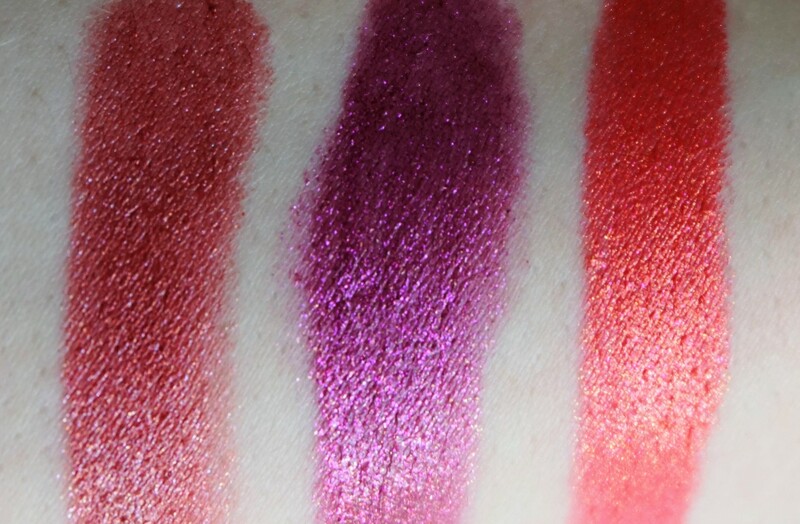 It’s a really beautiful way to wear plum-wine on the lips. ‘Coral Optix’ is a medium, bright orangey-coral with hints of pink and strong gold metallic sheen. 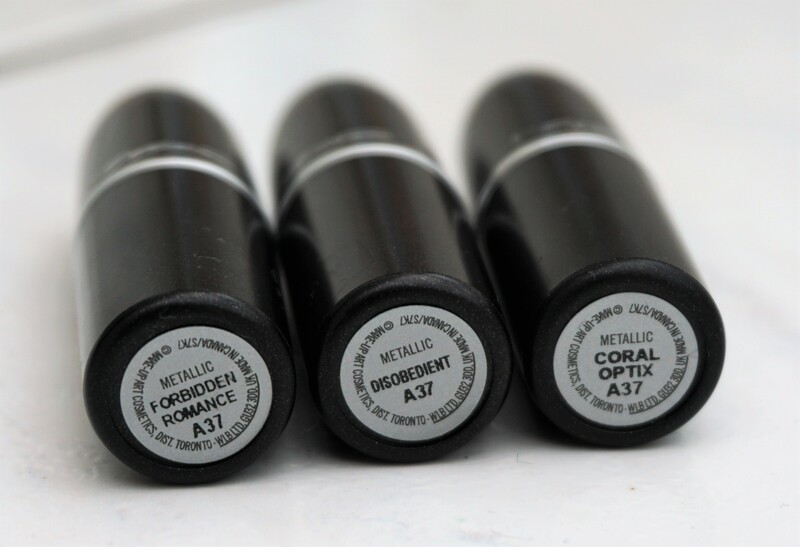 Coral Optix is the most metallic of the lipsticks that I picked up and one that I tend to wear when I want my lip colour to be the main focus of my look. I like wearing it with neutral or classic eyeshadow combinations using browns, peaches, golds and very soft greens. 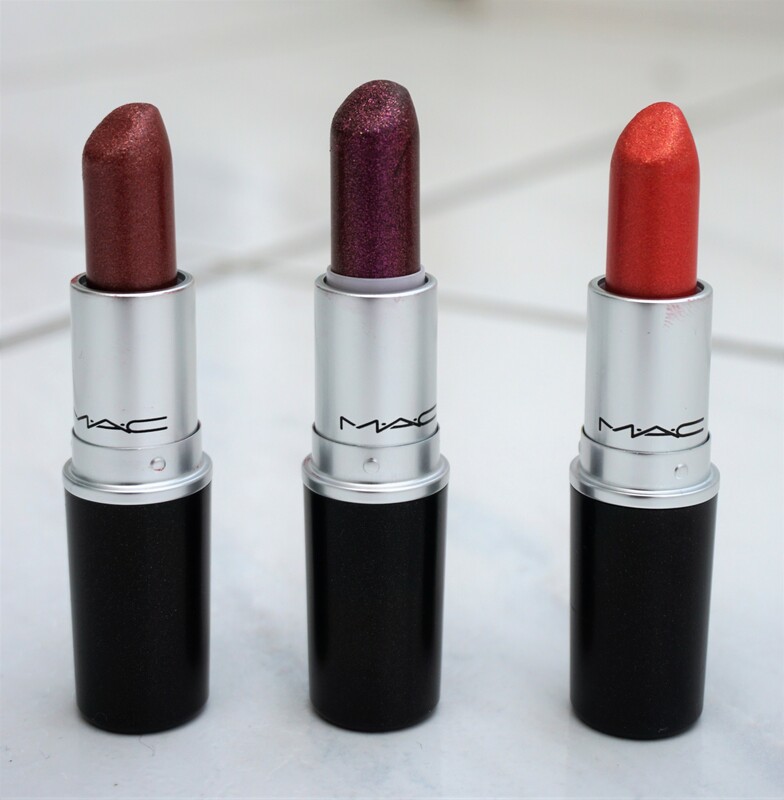 The Metallic finish range was limited edition and currently in the ‘Goodbyes’ section of the MAC website. There are a variety of shades available (18 in total), including nudes, pinks, purples, coppers, golds and blues. MAC lipsticks usually cost £16.50 but there are times when you can get discounts (Debenhams and House of Fraser often do 10% off make-up events throughout the year). Look Fantastic (lookfantastic.com) seems to have the full range of lipsticks available priced at £16.50. The Metallic lipsticks are currently reduced on the MAC UK website to £11.55 from £16.50, so it’s worth a look if you fancy them but don’t want to spend as much. You can also get the lipsticks from Debenhams, though not as many shades are currently available. The shades I have featured in this post are currently out of stock on the MAC UK site and Debenhams online but they may still be available for purchase in stores or elsewhere (Look Fantastic currently has them in stock online). 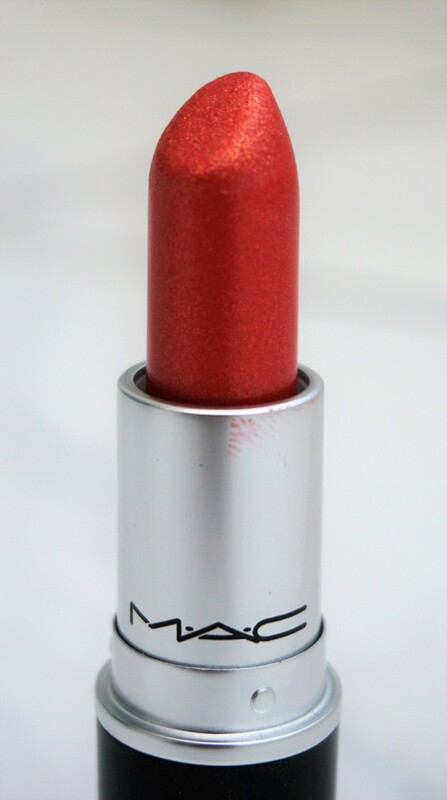 Note: MAC operates a ‘Back to MAC’ scheme where you can return 6 recyclable MAC items to the store and receive a free MAC lipstick of your choice in return. So if you finish a product – or if you buy something you end up not using as much – you can save them to use towards a free new lipstick. Great way to get a new lipstick :o) !! Do you have these lipsticks? What do you think of the whole metallic trend with make-up at the moment? Is it something you would wear on your lips or on your eyes? Let me know in the comments section below.